St Thomas Yacht Club, Cowpet Bay, St James Islands, Dog Rock and Great Bay all covered with 71 racing yachts in a big breeze. Definately cool yet 85 here in the USVI. Published on Mar 29, 2014. 2014 St. Thomas International Regatta: "Fast & Furious on Second Day of 41st St. Thomas International Regatta St. Thomas, U.S. Virgin Islands. Courses changed but the winds remained the blustery-same as the 69-boat fleet set sail on the second day of racing at the St. Thomas International Regatta (STIR). Shorter round-the-buoy and round-the-island races off the island’s east end combined with 20-plus knots of breeze enabled the race committee to fire off as many as five and four races, respectively, in the beach cat and one-design IC-24 classes...."
David Sailing on America's Cup Boat - YouTube: "Published on Mar 25, 2014 Video of David Chandler sailing in America's Cup Sailboat." The Stockton Sailing Club is hosting an open house for the sailing season's Opening Day, which takes place from 8 a.m. to 6 p.m. Saturday, April 12. Briton found dead after yacht blaze in Caribbean | World news | theguardian.com: "...She told Sky News that what she saw suggested that there had been an accident. "The fact that the captain of the vessel was in the water, he had launched his safety raft and the fact that we were able to find documents floating away from the vessel when we searched further, I would suggest that there had been an accident on board, the fire had overtaken the vessel and the captain had decided to leave."... The yacht, reportedly named Asante and registered in Gibraltar, was reported to have been found approximately 15 miles west of Buccament, in south-west St Vincent, though Wilson said it was around three and a half to five miles offshore...."
What other match-ups are expected for the ISAF Worlds? “Our plan is to sail a safe race to Gladstone before continuing on with a ... Farr 40, The Fat Controller representing the Keppel Bay Sailing Club. Will Eagle Rock "rock" at Audi Hamilton Island Race Week 2014? View video above and you will know why the search for MH370 is so challenging! “The race was one of the more pleasant sails I've had this season. “We put the spinnaker up at South Head and carried it all the way to the finish line. 1st The Wave, Muscat (OMA) 19 points. 2nd Alinghi (SUI) 18 points. 3rd Emirates Team New Zealand (NZL) 16 points. 4th Realteam by Realstone (SUI) 13 points. 5th Groupama sailing team (FRA) 9 points. 6th Red Bull Sailing Team (AUT) 9 points. 7th Gazprom Team Russia (RUS) 9 points. 8th SAP Extreme Sailing Team (DEN) 8 points. 9th J.P. Morgan BAR (GBR) 6 points. 10th Oman Air (OMA) 3 points. 11th GAC Pindar (AUS) 2 points. Tweets about "#EXSS OR Extreme Sailing Series"
Series announces 26% increase in global media figures as 2015-2020 Host Venue bid process commences » Extreme Sailing Series: "....The innovative Stadium Racing circuit brings action close to the shores of iconic cities around the world, providing an exclusive package for Host Venues including a premium VIP experience, unique spectator opportunities which goes beyond sailing fans, and high-integrity elite level sporting competition not only to local audiences but global media. Six venues confirmed for the 2014 Series will return in 2015, with two venues whose contracts are due to expire, expressing their desire for the circuit to return, but creating a window of opportunity for new venues to replace them and join the Series from next year onwards...."
Organizing a Great Regatta: Learn the Secrets of Successful Events - US Sailing video above - "Anderson Reggio moderates a discussion: "Organizing a Great Regatta: Learn the Secrets of Successful Events" with speakers Randy Draftz, Lou Sandoval, and Brad Read at the 2014 US Sailing Leadership Forum - Published on Feb 24, 2014"
The second day of Southport Yacht Club's Sail Paradise Regatta, was well underway with a fleet of 55 vessels, including lasers, off the beach catamarans and the international 505 class joining the keel boats and Multihulls for their first day of racing. Scuttlebutt Sailing News: " . . . . Launched in 2012, U.S. Sailing’s REACH program is a combination of sailing and STEM education (science, technology, engineering and math) for middle school students. Using a 10-point curriculum aligned with national school standards, the REACH program offers lessons using wind data, meteorology and more. 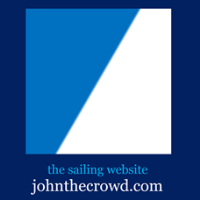 The goal of the program is to create partnerships between schools and sailing centers that can ultimately get more kids out on the water and provide them with a unique learning experience. With programs in 200 locations and in five countries, US Sailing’s REACH program exposes an entirely new demographic to sailing that wouldn’t otherwise have an awareness of the sport. . . ."
Scuttlebutt Sailing News: "Artemis Racing announced today that French sailing legend Loïck Peyron has committed his future to the Swedish team as a member of the design group and helmsman. Following his role as technical coach and helmsman during the 34th America’s Cup, Loïck brings his renowned versatility and unparalleled experience to Artemis Racing...."
Ainslie making progress on America's Cup team for Britain | Reuters: "Ben Ainslie is making good progress on putting together an 80 million pounds ($130 million) British challenge for the next America's Cup, the four-times Olympic champion said on Thursday. The British sailor helped to inspire Oracle Team USA to one of the greatest comebacks in sporting history last year when they rallied from 8-1 down to defeat Emirates Team New Zealand 9-8 and land the trophy...."